Small yet grand Less than 1lb, but packed with all the features you need to present with ease. Present with ease Store content directly on the 7GB internal drive or just plug in your USB with content and start presenting. Lamp-free, hassle free LED technology means no lamp replacements, ever. Portable power The Dell Power Companion allows on-the-go power for presentations. 360° projection, up, down, portrait. At only 0.8lb and 4.1” wide, 4.1” long and 1.4” high, it’s both lightweight and ultra small, literally fitting in the palm of your hand. Its small size means it’ll easily fit into any size bag and is so light you’ll barely even notice you’re carrying it. With integrated features including built-in speaker, 3.5mm audio jack and integrated keypad, your presentation is totally self-contained. Less things to carry means less things to forget. Also compatible with Dell laptop adaptors with a 7.4mm barrel, so there’s no need to carry extra accessories. Deliver professional presentations that are both clear and easy on the eyes at 500 ANSI lumens (max.). BrilliantColor™ technology delivers WXGA (1280x800) resolution and a 10,000:1 typical contrast ratio for crisp, colorful images. The mercury-free LED technology in the M318WL projector provides up to 20,000 hours (normal mode) of service and best of all it does not require LED/lamp/bulb replacement. Store content directly on the 7GB internal drive, so your content is ready when you are. 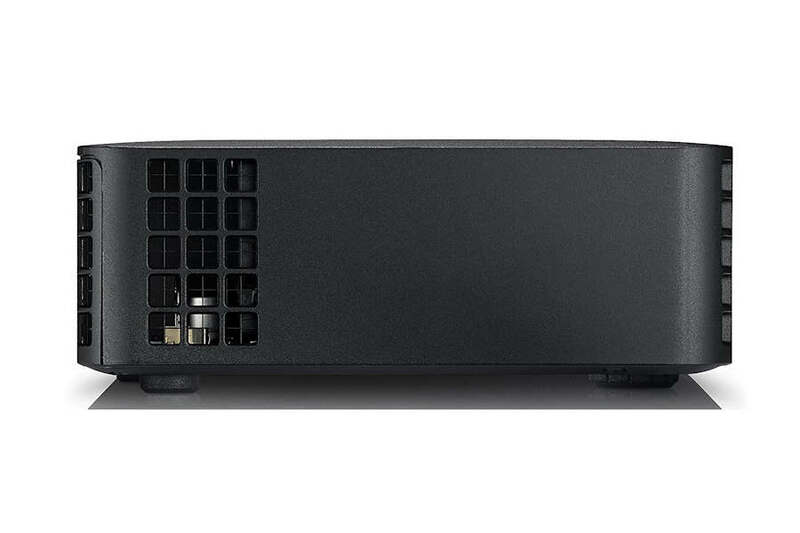 Easily present directly from the projector’s internal storage using a wide range of Office and multimedia files types. Or just plug in your USB drive with content and start presenting. 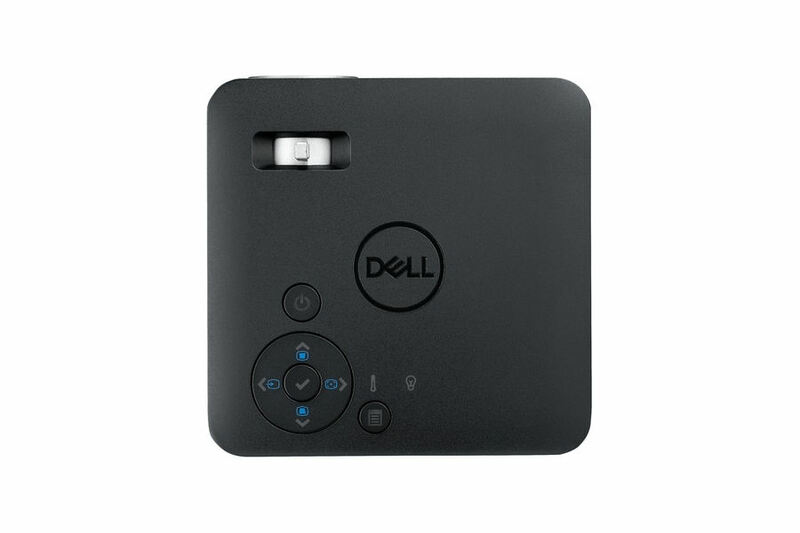 Connect wirelessly and present from your laptop, tablet or mobile device with the optional wireless dongle. No power outlet? No problem. 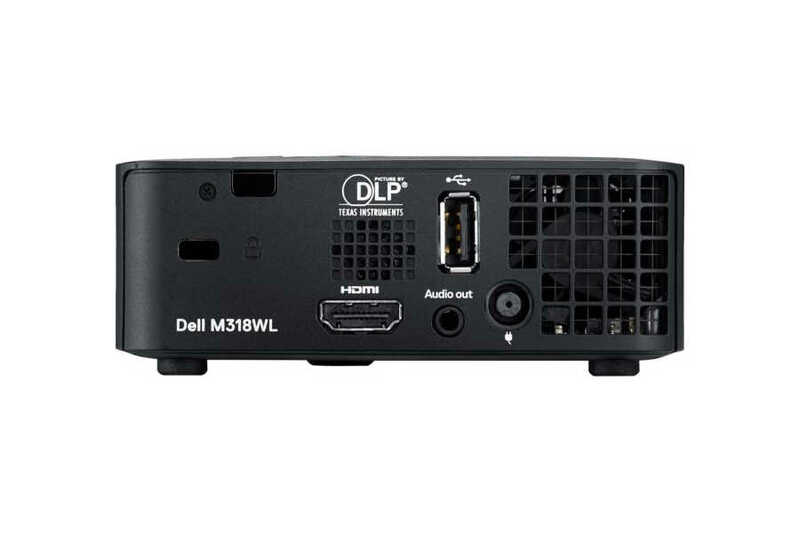 The M318WL projector achieves 2 hours of life on average, when connected to the optional Dell Power Companion, enough for most presentations or even movies. Your M318WL projector is backed by support with the 2-Year Advanced Exchange Warranty1 and the LED system is covered under the same warranty for up to 20,000 hours of LED life. If you opt to extend your warranty to 3-, 4-, or 5-years, the LED system is still covered for 20,000 hours use or the term of the warranty. 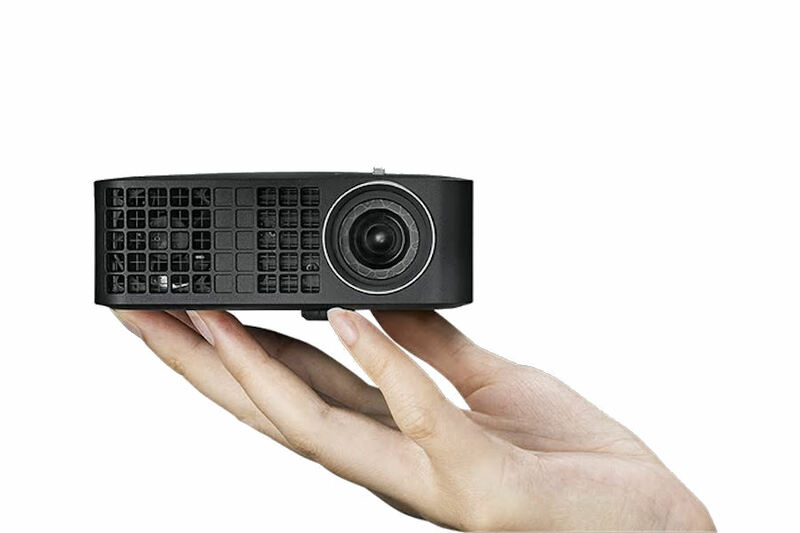 The LED system light source of the projector lasts for up to 20,000 hours of use. 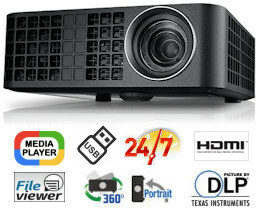 If the projector is used for 8 hours each working day, it would take up to 10 years to reach 20,000 hours. 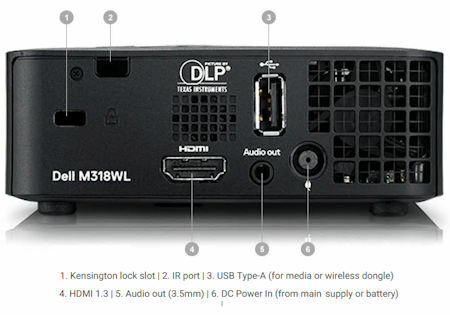 The integrated Kensington security port and password protection functionality help keep your M318WL secure against theft and unauthorized access. Lamps can blow, if you need your projector working and can't afford down time, you may need to keep a spare lamp. 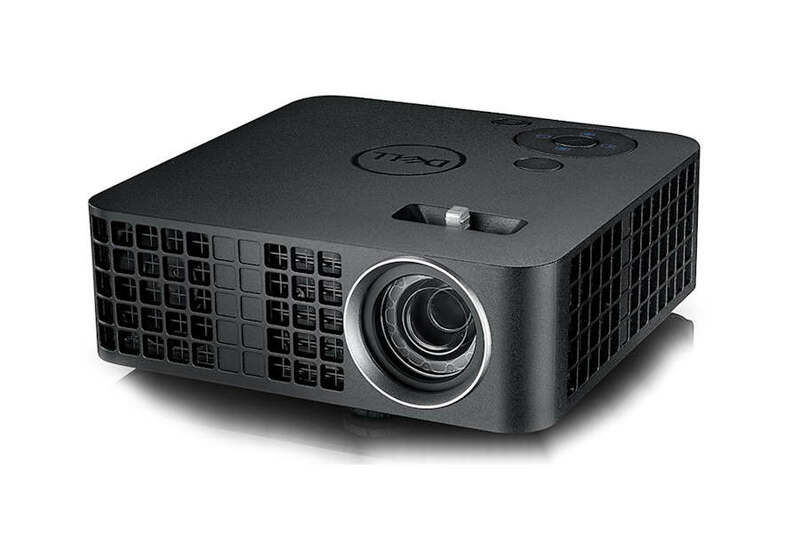 The replacement projector lamp for the Dell M318wl is the No Replacement.